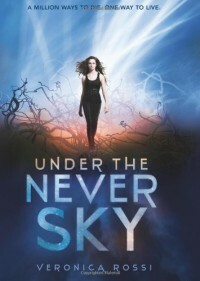 The first quarter of 2012 saw me reading Under the Never Sky, a debut post-apocalyptic novel written by by Veronica Rossi, a new author for Y/A novels. I first saw the book in our local bookstore and was not interested in buying it since I have other book priorities to purchase during that day. A week later, when boredom got the best of me, I returned to the bookstore and picked up the book to read the summary. It was interesting but again, my OCness in selecting books kicked up so toning down my impulsiveness, I went home. The next day, while at work, I immediately logged in into my Goodreads account and search for Under the Never Sky. The reviews were actually good so later that afternoon, I hurried to the nearest bookstore and bought the book. After my arrival at home, I started reading it and well, it was worth the money that I've spent. The very first pages alone are already very interesting. The characters are very well made and somehow they tug at your heart. 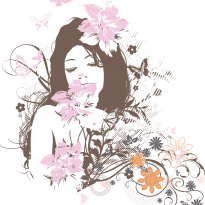 Aria, the heroine, was some sort of a spoiled prima donna individual having been born and raised in a world that is almost perfect. While Peregrine/Perry, the hero, is a savage (as the book calls him) but I'd rather call him the typical hero, a survivor of everything. He was kind of arrogant, impulsive, the overall image of a bad boy but after reading the whole book, I've decided that being a toughie was just a front. Perry is one of the most gentle heroes in my line up of male characters. The plot was definitely awesome. The whole story happened in a world where Aether storms are destroying the lands and most importantly, the humanity itself. Since every attack of Aether storms are very deadly, one group of individuals called "Dwellers" was able to build housing pods. These pods are built under mountains/mounds or undergrounds. According to the book, these dwellings are sterile environment and most of the dwellers have altered genes and will not be able to survive the harsh environment outside. This is where Aria belonged. Meanwhile, another group called Savages was left to fend for themselves on the outside. They form tribes to better cope up with very harsh aetheric climate. Their lifespan is short and their way of living reminds me of our tribes here in the Philippines. The hero, Perry, is a Savage/Outsider. Although it is almost possible for individuals of two different worlds to meet, destiny made it happen. Due to unfortunate circumstances, Perry and Aria met. And although there was a lot of discrimination/racism/hostility between the two of them, at the end of the day, they still made a truce to help one another. Perry was sure that Aria is the answer to look for kidnapped nephew while Aria was exiled from her enclosed home and needed Perry to survive during the outside while looking for her mother. Under the Never Sky has very good character development. IMO, during the first pages, I hated Aria but as the story progresses, I've learned to admire how brave she is, how she transformed from a sort of self centered b*tch to a mature no-nonsense survivor. She learned to trust her own instincts and at the same time, learning to understand the dynamics of her and Perry's world. On the other hand, Perry was the perfect man for damsels-in-distresses. During their Aria's first journey together, he had always been angry with her. But despite that, he remained a gentleman. I especially loved how he, with his super macho image, made a pair of book cover shoes for Aria so she wouldn't suffer so much with the walking journey that they will have. Aside from that, it was so heartmelting how Perry loved his nephew so much. It is just somehow unbelievable that a man like him could bestow that almost selfless love for someone who is not his child. The other characters of books were also adorable especially Roar and Vale. Roar is Perry's bestfriend. He's funny, handsome and great friend to lean on to. While Vale, Perry's older brother and antagonist was just so hateful. I mean, how was he able to sleep at night while he did all of those awful things? There's only one thing that I can say, Veronica is a poet. She weaves beautiful words that I think anyone would fall inlove and relate at some point. Interactions between characters were meaningful but not lengthy, heartstriking but never corny. Even Roar's jokes were really funny. While you're reading the book, you will not have an idea that Veronica is just putting up a certain scene so she can make the book thicker. This is one of the reasons why I really love Under the Never Sky. Point of view used was first person but it was alternating between the views of Perry and Aria. I usually prefer the third person point of view but this is one of those books that I would prefer to be in the first person format. It makes the book more appealing and provides more insights to the thoughts of the two characters that's why you will love them more.